Last Saturday morning was probably one of the best ride we had in weeks due to the nice cool weather and dry road. Our meeting point was at City One where from there we proceed headed towards the City of Kuching. This was due to the fact that Obed needs to go back early as he had something else going on that morning. Elmund managed to pick up his pace already, after joining us for a couple of weeks. We journeyed along Jalan Tun Jugah and climbed the first flyover connecting to Jalan Simpang Tiga, and Elmund seems to got the hang of switching gears and some how managed to ace the flyover with ease. As we slowly cruised down Jalan Simpang Tiga passing Swinburne, and tHe Spring we stopped at traffic light connecting to Jalan Tabuan. From then onwards, we made our way to Jalan Tan Sri Ong Kee Hui where Obed had to fill his tire with air. After filling it up, we continued our journey to Jalan Taman Budaya and stopped at the traffic light. 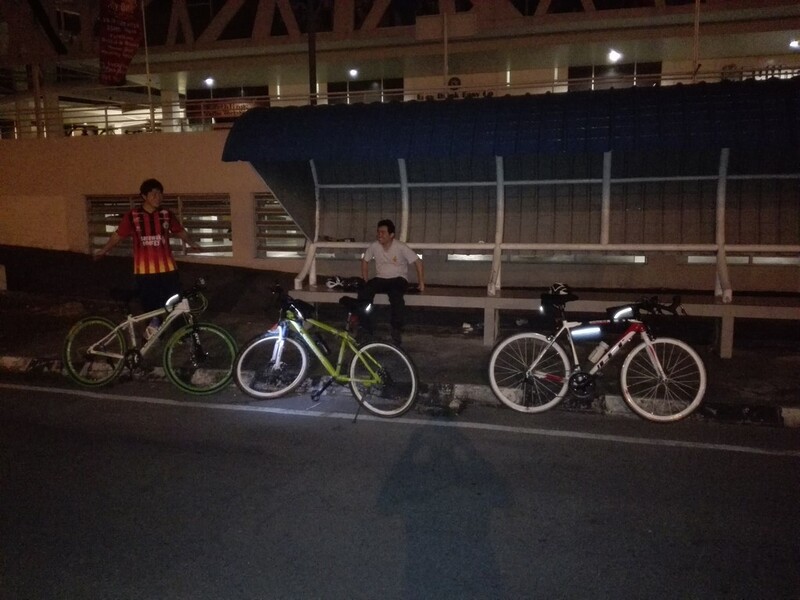 Initially we intended to take a right towards St.Joe School before saw another group of cyclist coming from Jalan Tun Abang Haji Openg and connecting to Jalan Badruddin. Fortunately for us, we managed to catch up with them as they stopped at the traffic light and said a brief hello to them and asking them where were they going. Apparently they were heading towards Muara Tebas which unfortunately all of us couldn’t join them this time round. 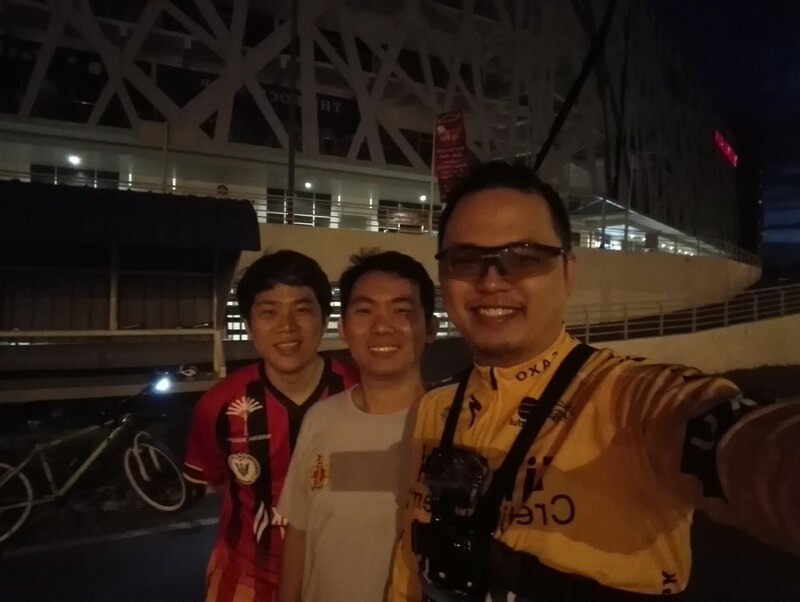 Never the less, it was indeed a fun experience cycling in such a big group but we departed once we reached the traffic light where they continued on towards Satok area whereby we pressed on towards the city. So continued moving on to Jalan Haji Taha, headed towards Open Air Market before making a left turn towards Lebuh Java, which connects to Jalan Gambir. As I informed the rest that there’s a segment coming up which is the GSB Main Bazaar Sprint where all of us pushed ourselves to the limits to see how fast we can go along that segment. After that we move on towards, Jalan Abell, pass by HSBC to continue on to Jalan Padungan heading towards Foo Chow Road from there we decided to split as Obed had to head back home. As I took Ellis Road home, where they had a short motorcycle lane along that road. Which is at least better than nothing, apart from another one at Jalan Song. 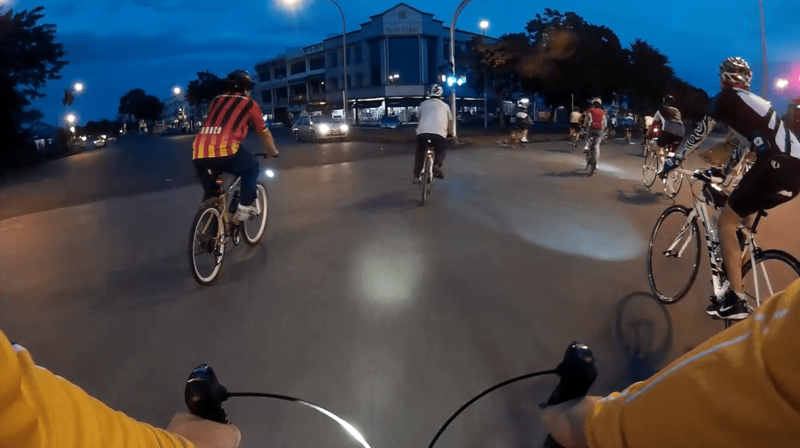 Maybe the local council may want to consider making more of this bicycle or motorcycle lane so that it will indeed encourage more riders to actually ride not fearing other vehicles as well. Never the less it was a good ride, and I was fortunate enough almost reached home before my inner tube decided to leak on me. Ah well, it’s all good!